Enscape is now fully integrated into Rhino (except for sound simulation). 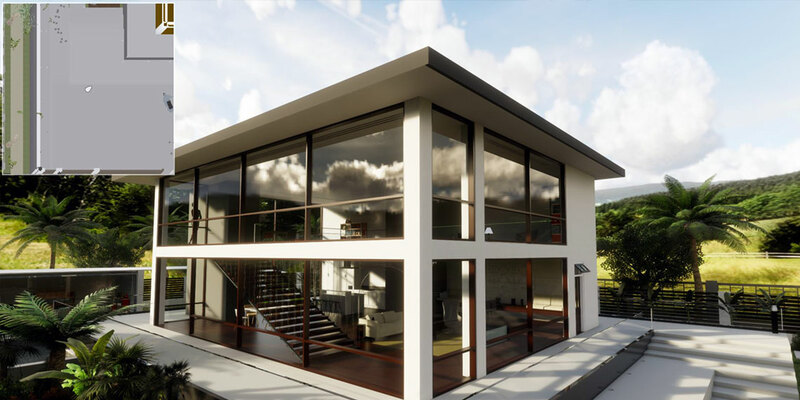 If you’re already using Enscape, no additional license is required. You can now use Enscape for Rhino as well. Rhino’s built in area lights are supported. 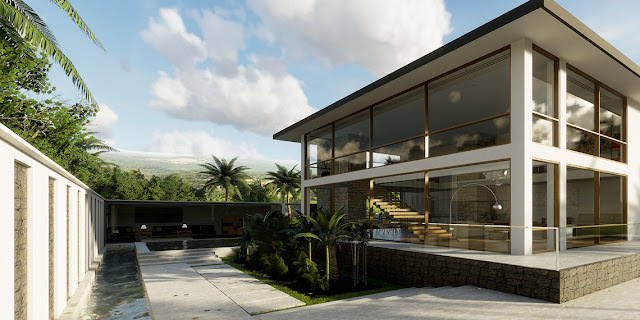 Enscape supports Rhino’s default material parameters out of the box. 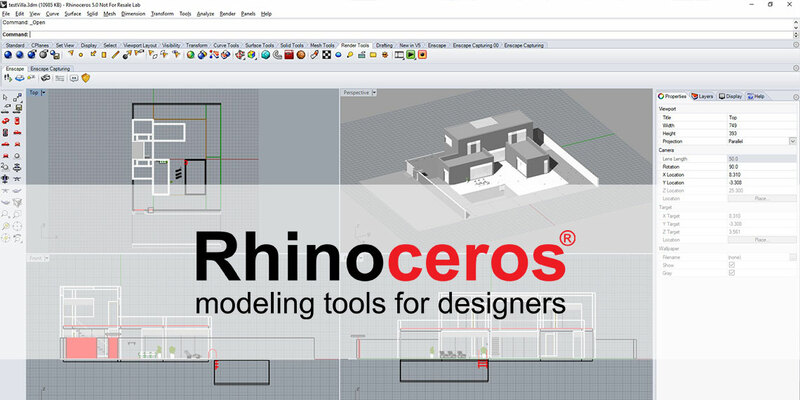 However, the Rhino plugin also supports the same material name keywords as our existing SketchUp plugin. All plugins use the same installer. You can also install Enscape on your machine without an administrator account. You can now search for you favorite 3D Views in the view drop down menu. Additionally, you can click on the camera or sun icon that appears while you hover over the view name. This allows you to set the position or sun location without loading the whole view. Enscape 2.1 introduces an extremely easy to use yet powerful Presentation Mode! 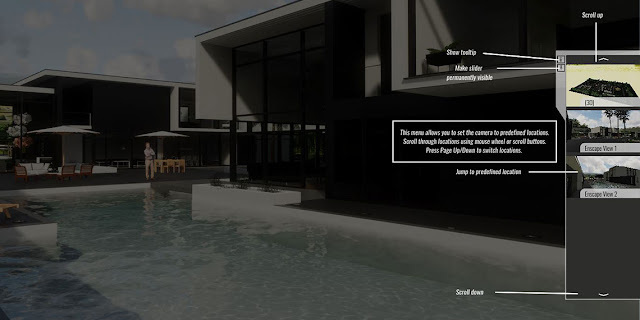 You’re now able to select your favorite camera views and switch between them through an expandable sidebar menu inside the Enscape view window. 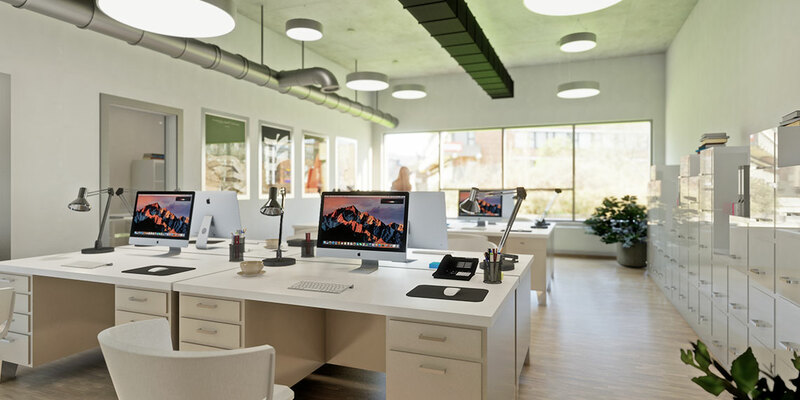 You’ll see thumbnail images for each view, which you can click on to immediately jump to the view’s location – including the associated time of day. 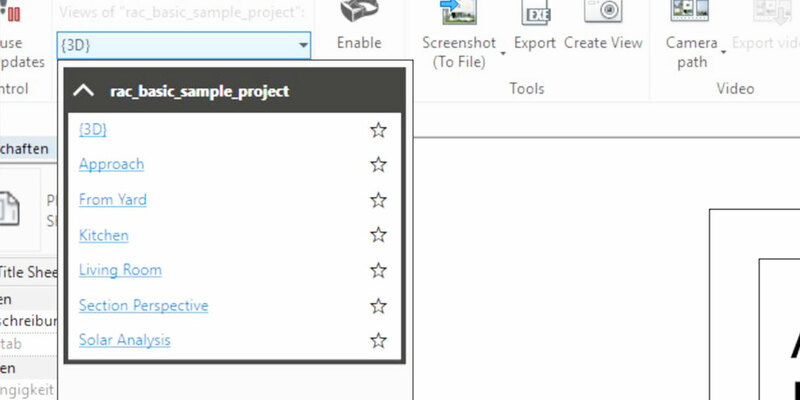 Your favorite views will also be available in your exported standalone executable EXE file. 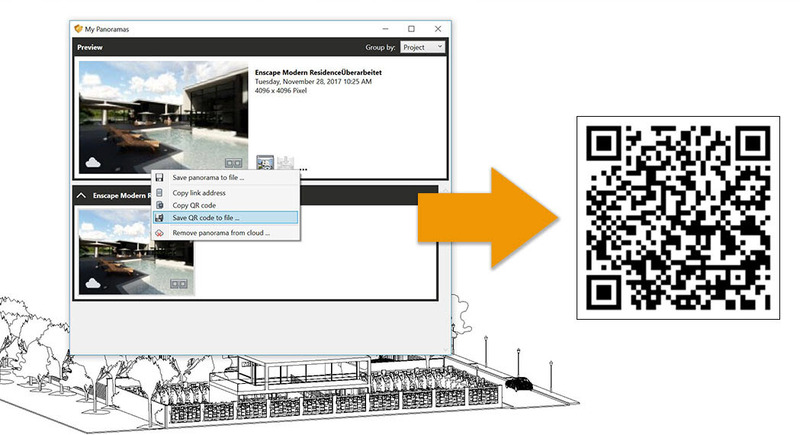 It’s now much simpler to export the QR code for your uploaded panoramas. Simply copy it into an email or save it to a file. You can even print and pin them onto a real world location to offer a glimpse into the future of this location! By pressing M, you get a Minimap in Enscape. With our new version, you can now click into the Minimap to teleport your virtual camera. You can also zoom our using the mouse wheel and change the window size by dragging the corner. Please come see us! In early 2018 we’ll be exhibiting at a number of important industry conferences. We hope to meet you and discuss your projects and your use of Enscape! There's more information available on the Enscape website and the Autodesk App Store. 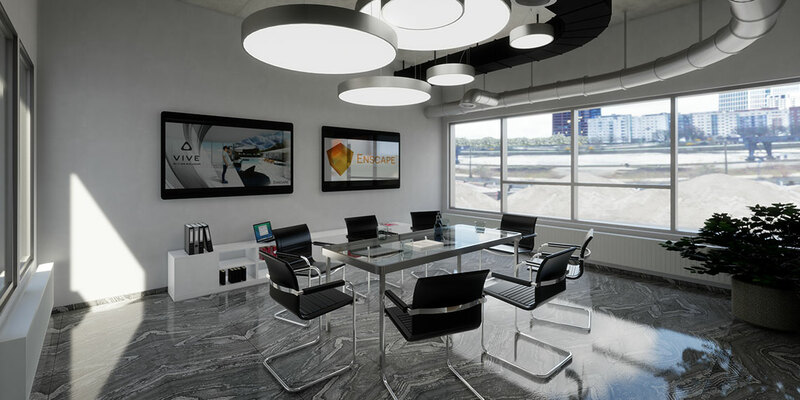 thanks for posting about Enscape :) Great that you like the Enscape Version 2.1 so much. I just want to let you know that we have just released the new version 2.2.